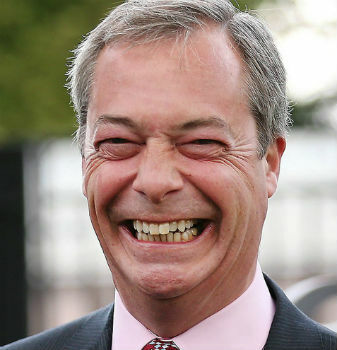 Nigel Farage, leader of the United Kingdom’s Insulting Pillocks party, has called for an end to anti-pillock legislation which he feels discriminates against him. And everyone else in the United Kingdom’s Insulting Pillocks party. “Maybe 40 years ago it was important to prevent pillocks from ruining everything, but we’re here now, and we’re obviously against that” said the pillock. Fight back against the pillocks with the UK1P, The United Kingdom One Person party! This entry was posted in Uncategorized and tagged combat proctology, United Kingdom's Insulting Pillocks. Bookmark the permalink.